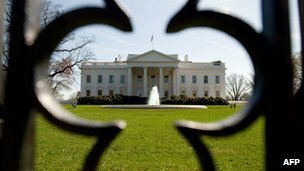 Russian "CozyDuke" malware attacks on White House and The Department of State ?! Topic: Russian "CozyDuke" malware attacks on White House and The Department of State ?! More importantly, technical evidence suggests that some of the CozyDuke malware has strong “functional and structural similarities” to known components of the MiniDuke, CosmicDuke and OnionDuke cyberespionage tools, the Kaspersky researchers said. While the Kaspersky researchers did not discuss CozyDuke’s possible origins in their blog post, researchers from other companies who analyzed MiniDuke, CosmicDuke and OnionDuke in the past believe they are the work of the Russian government. In a January blog post: https://www.f-secure.com/weblog/archives/00002780.html , researchers from F-Secure noted that none of the high-profile CosmicDuke or OnionDuke targets were from Russia. The only victims detected in Russia had links to illegal substances, suggesting that those spyware tools might be used in support of law enforcement investigations in the country. “Considering the victims of the law enforcement use case seem to be from Russia, and none of the high-profile victims are exactly pro-Russian, we believe that a Russian government agency is behind these operations,” the F-Secure researchers concluded.